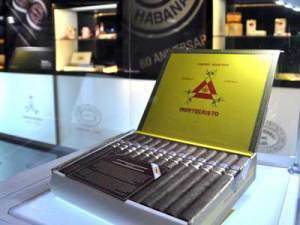 HAVANA, Cuba, Feb 25 (acn) The third day of the 17th Habano International Festival will be dedicated today to celebrate the 25th anniversary of the founding of Habano specialized houses in the world. These facilities, located in more than 140 exclusive and prestigious outlets, market the famous Cuban cigars, made by expert hands. Those who go to these centers can find limited editions of products tested with the highest quality, and the cigars are conserved in humidors beautifully decorated by craftsmen. In addition to the sale of cigars, this business offers a range of services, distinguished by the personalized attention, both to connoisseurs in the art of smoking Habanos, and beginners and interested in learning about these cigars, their culture and legends. The first Casa del Habano began operate internationally in 1990 in Cancun, Mexico. A rolling class entirely by hand, by seasoned specialists of the factories El Laguito and Partagas, among others, will take place today at the Habano Festival. In addition, Dr. Zoe Nocedo Primo, director of the Cigars Museum, will give a keynote lecture on the readers of tobacco factories.